Product #1074 | SKU 2-058-0001 | 0.0 (no ratings yet) Thanks for your rating! The Remote Start/Stop Holder for Canon DSLRs from Redrock Micro enables you to securely mount a Canon RC5 infrared remote (not included) to your Redrock handgrip. 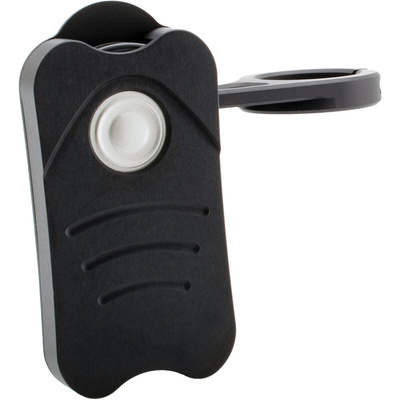 Mounting the remote allows for easy hands-off start and stop functionality. This unit works with both the Canon 5D Mark II and 7D. The remote holder also supports a second style setup. Pair the remote holder with a microMount and position it anywhere on a 15mm rod. The remote must be positioned within the line of sight of the infrared port on the Canon camera body.